Beside call for airport LIMOUSINE, GRAB, your family & friend fetch you to airport from Puchong, now you may have another option, Shuttle bus service by Aerobus. 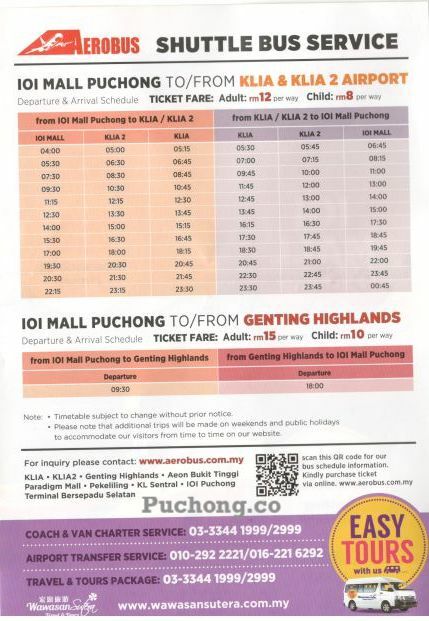 Beside that, Aerobus did provide Shuttle bus service from Puchong to Genting Highlands as well. Ticket Face: RM15/way for adult & RM10/way for child.